It's not as big a change as I thought it would be according to the photos of what it will probably look like. The moat isn't going away like some may have feared. The addition of fake grass is interesting, but if they go with a good kind of AstroTurf, like what they use on many baseball & football fields these days, it does indeed look and feel like real grass when you walk on it (I've walked on the field turf at Tropicana Field where the Tampa Bay Rays play many times so I know from experience). I won't even address the artificial grass, but that grid of pavement is pretty ridiculous. All these changes to accommodate fireworks resulting in a labyrinth of pavement in a bald hub, and now even the removal of parts of the waterway. I will say, after working in this park this summer... and doing some PAC shifts... They needed to make changes.. It is relatively unsafe in my opinion, and impossible to move during fireworks. If there was some sort of disaster I can't even imagine the chaos. This way they will be able to safely move people in and out. Artificial grass sounds scary, but I assure you that we've came a long way. I don't think it's maze-like at all. It's a much needed addition. I'm sure it'll look much more decent from the ground. Looks very nice. Not too excited about those extra turrets I see. They look out of place. I wonder if WDW magic made up their idea off rumors, it's a close but far from close. My largest concern is the large amount of construction in the hub. Viewing fireworks and the parade is going to be a different experience while they close off parts of the area for work. That is interesting to me too. I think the stand alone ones close to the bridge look nice now. They follow the banner pattern on the bridge. I think they are stands for light for the night shows. I do wonder if they will blend in more, or stick out worse. The two Victorian style buildings on the hub itself really seems to be Fantasyland intruding on Main Street when rethemed. I never noticed that TDS has something similar. I can kind of understand the ones that could possibly hold the speaker and lighting units, but I am incredibly unsure about the stands. 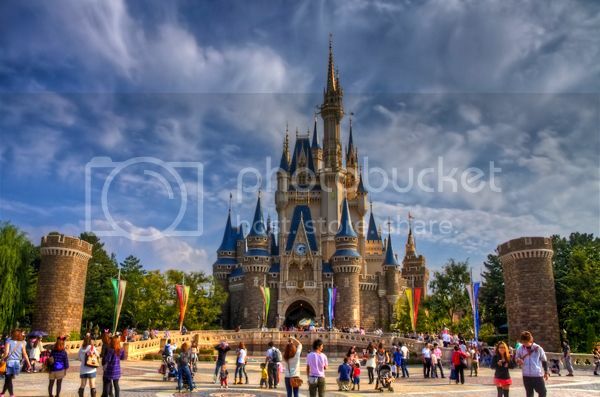 I think that the stands as they stand offer a better transition from Main Street to Fantasyland. ORDDU: I hope they don't really get rid of the benches that are currently in the hub for guests to sit on. 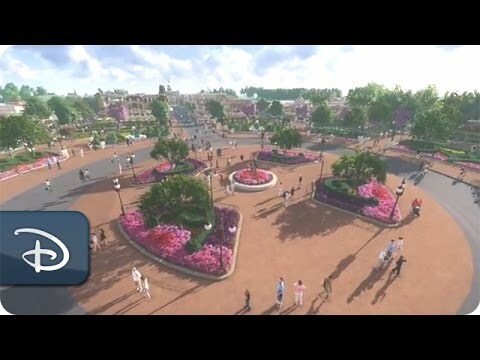 According to the pictures and the video, there doesn't appear to be much, if any, seating in the new plan. Here's a photo of the video and the old hub to compare easily. Oh boy, fewer trees and lawns. I can't wait. The good thing is it will accommodate more people who don't know that it's actually better to watch the fireworks from the other side of the castle. The image on WDW Magic was based on some leaked blueprints that someone posted on their message board. Are the new castle towers to conceal something? I'm pretty certain that the ones closer to the castle will likely conceal the speaker units. On the bright side, one of the 2 waterfront seating areas in the hub will be gone, and the other will no longer be near water. 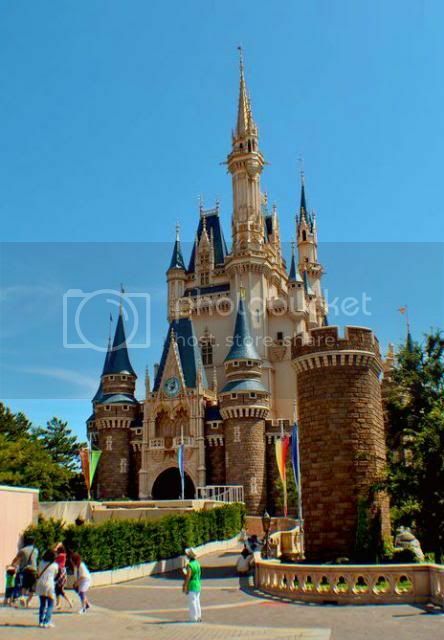 At least there will be more places for people to stand and watch dumb stage shows instead of being able to walk through the castle. lol besides the sarcastic benefits there is the actual positive that this finally removes the old swan boats loading area. I always feel as though theres a little abandoned area smack in the middle of the park when i walk by it. That's what makes it so great. It's one of the most peaceful quiet corners of the park and you don't have to go out of your way to get there.